It’s 6 PM on a Friday, and I have one last activity to look forward to before my weekend officially starts: Letters Against Depression. I briskly make my way to Cascadilla Hall where I know friendly faces will be waiting in the 2nd-floor lounge, scrolling and pausing through the brief stories written by the soon-to-be recipients of our letters. For the past two years now, Letters Against Depression (LAD) has continued to be my favorite service event in APO. Maybe it’s because there’s something soothing about the gentle scratching of pens and pencils on paper, as brothers and pledges alike write letters the old-fashioned way, or the fact that I always look forward to the bubbly conversations that pop up around the long table in Casc as we ask each other about our week and catch each other up on our busy and hectic lives. Then, there’s that silence that comes from when people are concentrating on their letters, carefully selecting words and drawing little doodles that are full of hope in bringing unexpected joy to the readers of our letters. 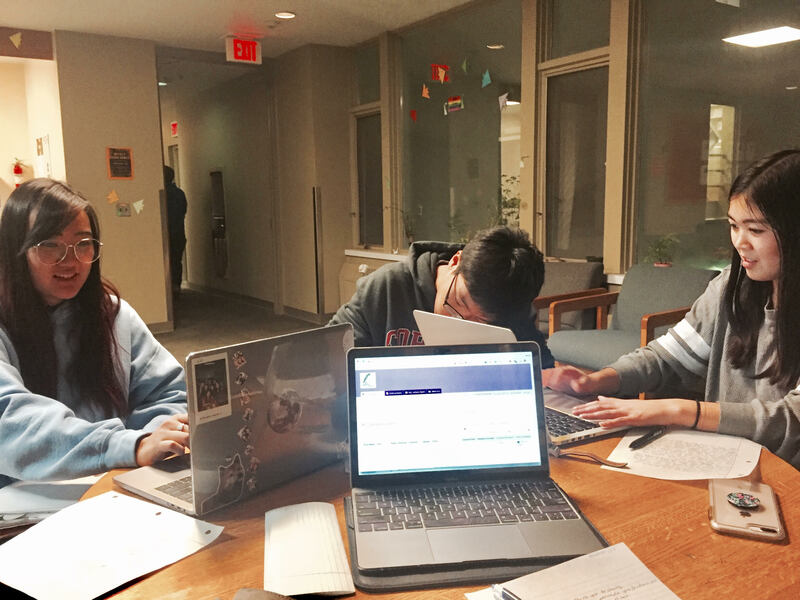 For those unfamiliar with LAD, Letters Against Depression is a weekly service event that allows APO volunteers to write handwritten letters to people who have submitted their stories through an online portal. LAD is a way for people to come together in a safe and brave space that encourages mental health well-being. LAD brings together APO volunteers and gives them a chance to rewind after a long week with some therapeutic letter writing. Of course, writing these letters is no easy task.